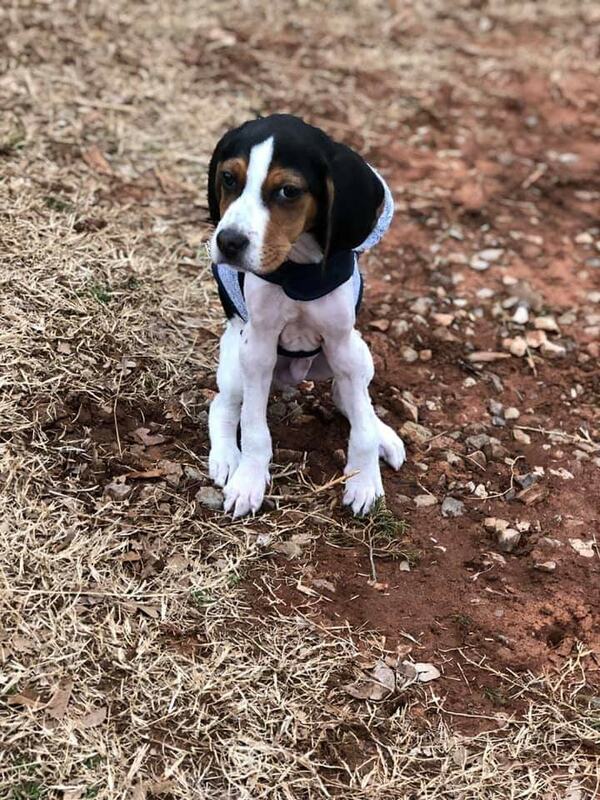 Milo is a Treeing Walker Coonhound who was born with a rare congenital defect. 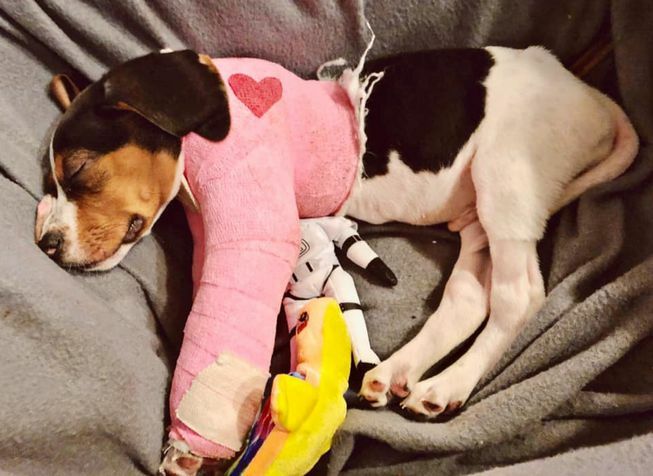 The puppy’s elbows were both dislocated when he was born, which made his paws turn upwards. Because of this, Milo was only able to get around by doing an army crawl. Milo’s breeder decided this defect was too much for her to handle. When Milo was five weeks old, she gave the puppy to Oliver and Friends Farm Rescue and Sanctuary. The workers and volunteers at the sanctuary immediately fell in love with the puppy. Milo was as playful and goofy as any other puppy—he didn’t seem to realize there was anything different about him. 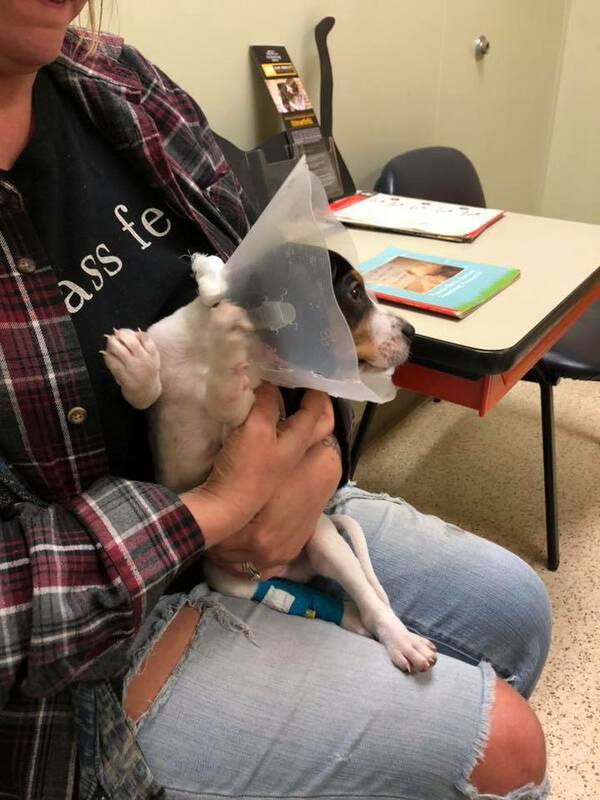 Jennie Hays, the founder of Oliver and Friends Farm Rescue, took Milo to the vet, where she learned the extent of his disabilities. 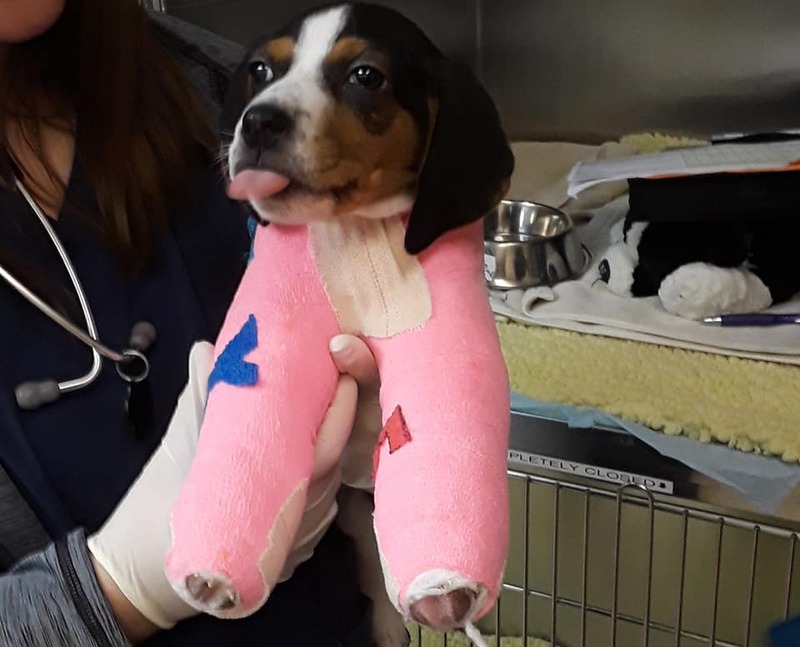 Hays was determined to get Milo the help he needed, and so she took him to a specialist at Oklahoma State University’s Center for Veterinary Health Sciences. The specialist said they needed to do surgery on Milo as soon as possible since he was starting to get pressure sores on his wrist from his army crawling. There was also a chance that he could cause permanent skeletal issues. The next day, Milo went for his surgery. It was a success! Once Milo had recovered from the surgery, he and Hays headed back to the sanctuary. 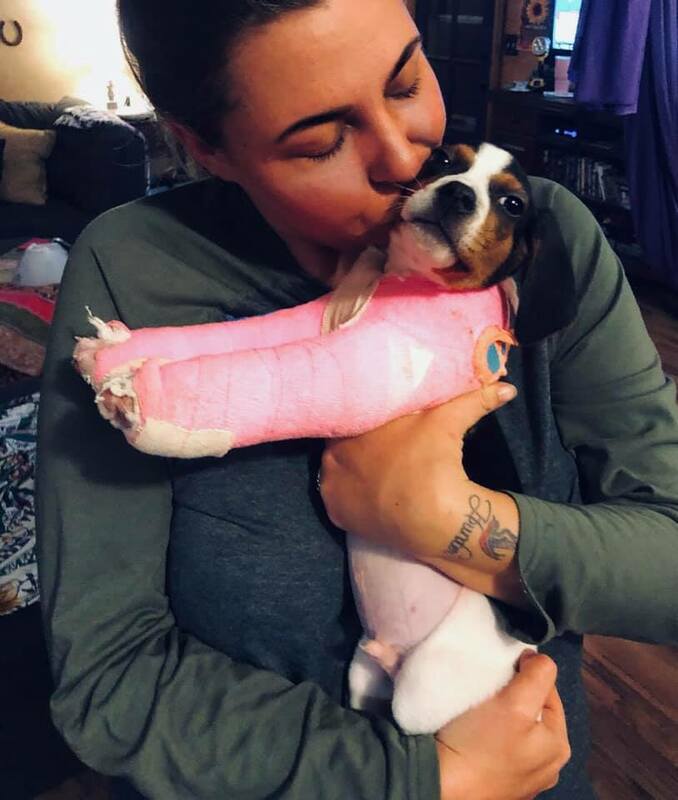 Milo had to wear casts on his legs for a few weeks, and at first, the poor pup was unhappy. But he soon got used to the casts, and he went back to being his normal talkative, feisty self. Finally, it was time for the casts to come off. After the casts were off, Milo started doing physical therapy to help him learn how to walk. Hays took tons of videos of Milo as he learned to stand and walk on his own. It’s amazing to see the pup’s process. Hays also shared videos of Milo interacting with the other dogs. Milo was so excited to be able to run around and sniff the other pups at the sanctuary. Once Milo was strong enough, he tried going for a swim. He loved being in the water! Hays is so happy that Milo is doing well. Once he’s strong enough, she plans to put him up for adoption. This dog deserves the perfect forever home! 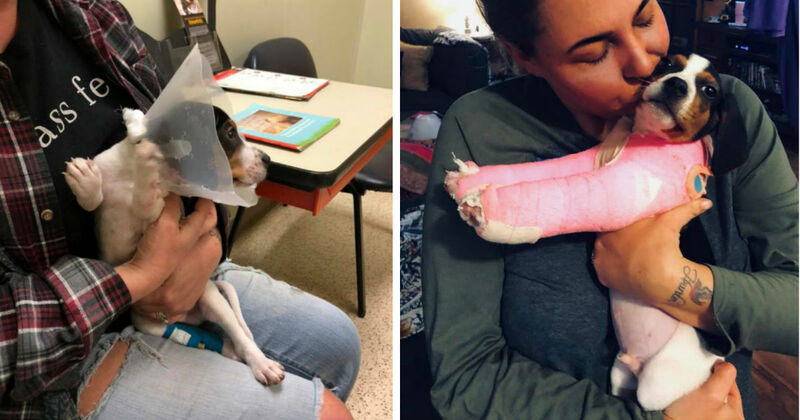 Milo hasn’t had an easy life, but the determined pup is now doing great! If you want to see more cute photos and videos of Milo, check out Oliver and Friends Farm Rescue Sanctuary’s Facebook page.